A great POS, or point-of-service, system is vital to business success, especially as a value added reseller business. The right POS system software can ensure that business runs smoothly every day. Whereas the wrong software can lead to more headaches and more time (read: money) wasted. If you are looking for the best POS system software for your business, keep reading. This post will highlight this year’s top five programs. Before you learn about the best POS systems around, it is important to distinguish between a traditional POS system and a new POS system for iPad. There are many different POS system providers that provide solutions with additional hardware. However, POS systems for iPad require you to already have the tablet. This can be beneficial for some small business owners that are already up-to-date with the latest technology gadgets. But for those a bit hesitant to have an entirely cloud-based POS, you may prefer a traditional POS system. Keep this in mind when reviewing the top POS systems below, and be sure to make the right decision for your business. Vend is the perfect POS system software for small business owners looking for a program that can do it all except for providing winning sales strategies. Not only does Vend offer you excellent transaction processing, the software also offers features for inventory and product management. You can also take advantage of some top marketing tools provided by this POS software, like their automatic rewards sign-up feature. If you are looking for a comprehensive POS system software that will not break the bank, consider Vend. The next POS system software to make our list was designed specifically with small business owners like you in mind. This is evident through their free-trial offer, which allows you the ability to try out the software for 14 days with absolutely no credit card required. Although this POS system software is not as comprehensive as others like Vend, it is incredibly user-friendly and has an easy-to-navigate interface. 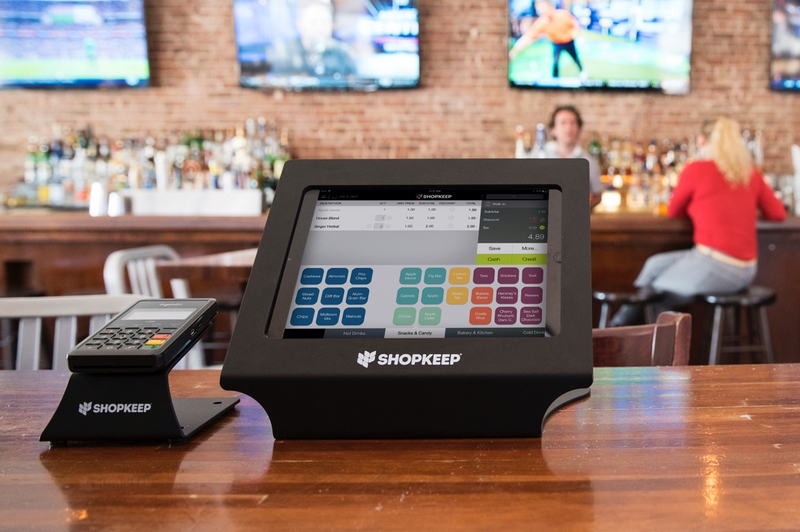 If you value simplicity, ShopKeep may be the right POS system software for your business. This particular software is easily the most widely-used of 2016. Perhaps this is due to the wide-use of it’s counterpart, Quickbooks. Either way, this POS system software is able to stand on its own. While this is another software that is lacking additional features like inventory management or marketing tools, the basic package includes everything most small businesses need in a POS system, like a returns policy. If you already use Quickbooks for your business, QuickbooksPOS is worth consideration. Shopify is another great POS system software for small businesses, especially those with interest in online sales. Shopify is widely known for its incredible e-commerce service, but many business owners are unaware that they offer POS system software, as well. This is not the best software available if you are not looking to create an online sales presence in the future. However, if you are, or if you already have an online shop with Shopify, the seamless integration makes this a top consideration. If you value the opportunity to make sales online, ShopifyPOS is the software to choose. In the last year, everywhere you look, from farmers markets to small town coffee shops and delis, Square seems to be the POS system software of choice. This is probably thanks to the lack of machinery necessary to operate their software. With Square, all you need is an iPad and card reader attachment and you are ready for business. In addition, you do not have to pay any monthly fees. You are only responsible for transactions fees. That is a huge advantage over the competition. They also provide additional management tools, unlike other POS system software available. If you are looking for an excellent mobile POS system software that can be used for non-mobile, as well, consider Square. The POS system software listed above are the top available in 2016. If you are a business owner looking to implement a new POS system at your business, consider those listed above. No matter what your particular needs are, you are sure to find the perfect solution in one of these options. If you have used any of the POS system software listed above, let us know how it was in the comments below. We would love to hear your expert opinion. Livepos is one of the best. I watched their tutorial videos and it is well explained with lots of details that we can easily understand. With the help of their videos and support, we can easily operate the system. We are using livepos for a couple of years now. It is one of the simple and easy to use pos. I have tried the other pos trial and livepos is the one I found that will fit my business. Livepos is very easy to use. It helps me a lot to make my business grow more. Livepos makes our business run smoothly and makes the workflow easier for my employees. I own retail shop and I use POS software. It’s really a good decision to purchase a good system because it helps me a lot to make this business run smoothly. I like having a mobile POS. It’s very easy to use and useful. Our sales flow improved since we a best rated POS. It’s great that I’ve decided to purchase their system. I have been using a point of sale for more than a year now. I have been using my pos for a couple of years now in my store. It really works great for me. It’s great to have the best POS in my store. This system is very helpful in our everyday transactions. A best PoS system is one of the reasons that my business grow. It helped me to manage my business smoothly. I can easily access everything about my business because of our POS. The features they provide are really great and suit with my store. Using a POS makes our business run smoothly. They make it possible to our shop to operate with ease. Using a POS system makes it possible that my business can grow in such a short period of time. These are some of the greatest POS systems. I’ve been using them for my small business for years now. I’m using a great point of sale system. This system has been part of my business since I open my store. It’s very helpful in handling everything.